Havells’ manufacturing units are spread over 7 locations in India including Alwar (Rajasthan), Baddi (Himachal Pradesh) and Haridwar (Uttrakhand). Havells India is one of the leading Fast Moving Electrical Goods (FMEG) companies and a key player in power distribution equipment manufacturing. 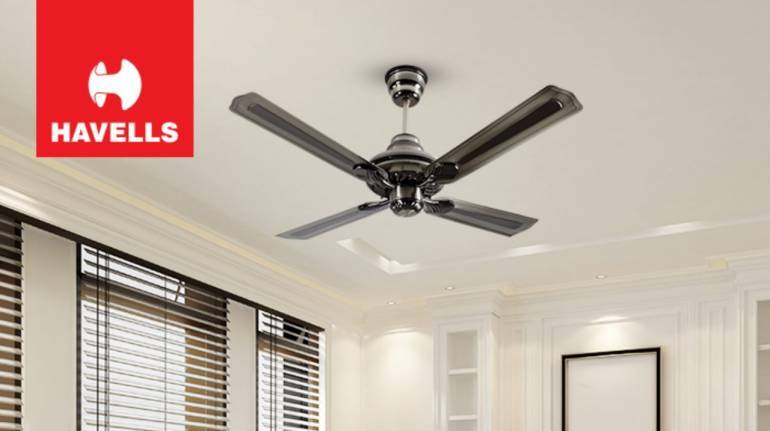 Havells India Limited has registered a growth of 28.1 percent in its standalone net sales at Rs 2,518.43 crores in Q3-FY19 as against Rs 1,965.77crores in Q3-FY18. On profitability front, the company’s operating margins have declined by ~164 basis points to 11.7 percent at Rs 294.58 crores inQ3-FY19 as against 13.3 percent at Rs 262.22 crores in Q3-FY18. Its PAT margins for the latest quarter stood 7.8 percent at Rs 195.67crores in Q3-FY19 as against 9.9 percent at Rs 194.36 crores in Q3-FY18. Weakness in margin was due to rise in operating expenses from the prior year quarter. With a robust global presence in over 52 countries, the company offers a wide range of products, including Industrial & Domestic Circuit Protection Devices, Cables & Wires, Fans, Modular Switches, and Luminaires for Domestic, Commercial and Industrial Applications. Havells’ manufacturing units are spread over 7 locations in India including Alwar (Rajasthan), Baddi (Himachal Pradesh) and Haridwar (Uttrakhand). Further it is setting up plant for Lloyd products in Rajasthan, enhancing manufacturing capabilities. Post completion of this plant, the company will have 13 plants across 8 different locations in the country. Havells looks to drive growth with technology upgradation. Channel expansion remains one of the key strategic initiatives of the company, focused on modern format retails, brand stores and online platforms along existing relationships with distributors and direct dealers. With this, the company targets to grow all its four key product groups viz. Washing Machines, Refrigerators, Room AC and TVs in double digits. In terms of macro scenario, the consumer durable industry has plenty upside given Government’s focus on electrification, infrastructure and housing and implementation of GST. Also, emerging middle class, increasing disposable income and easy access to credit is set to boost demand in the sector. Havells, which boasts of around 8,500 dealers and 1,00,000 retailers in its business, aims to expand its major penetration zones -Metro, Tier I & II Towns, while it sees Rural sector and Tier III & below towns as key penetration opportunity. With solid fundamentals and favorable macro traits, we believe the company is well positioned for long term growth and initiate our coverage on Havells India Ltd. with a buy rating and a target price of Rs 788 per share.